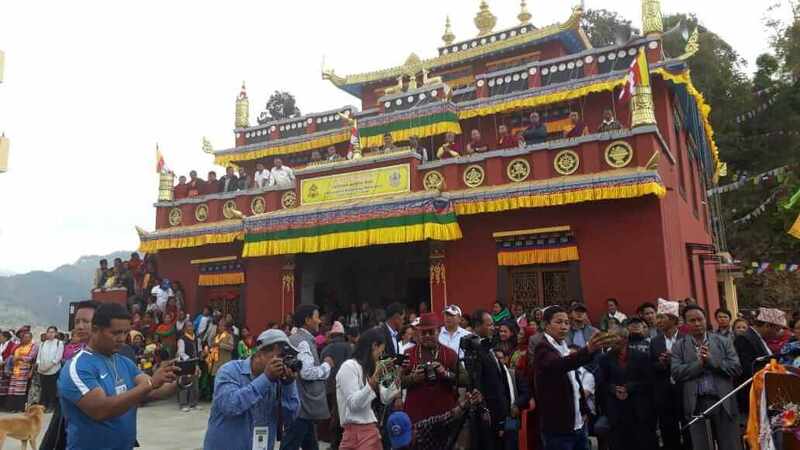 Shyalpa Tenzing Rinpoche on Friday inaugurated the newly rebuilt Chhyoiphel Kundeling Monastery at Lisankhu village in Sindhupalchok district. The monastery was rebuilt by the Embassy of India. 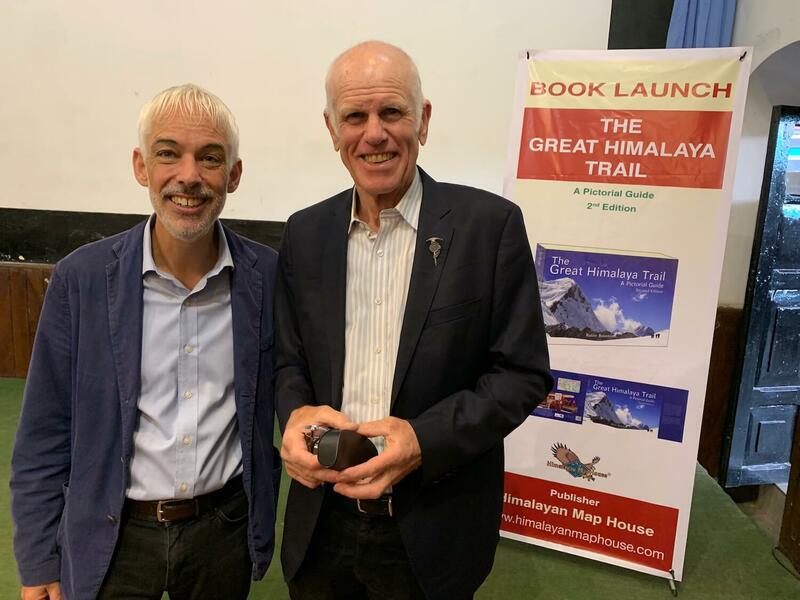 Robin Boustead with Peter Hillary at the launch of new edition of the book The Great Himalayan Trail in Patan on Wednesday. 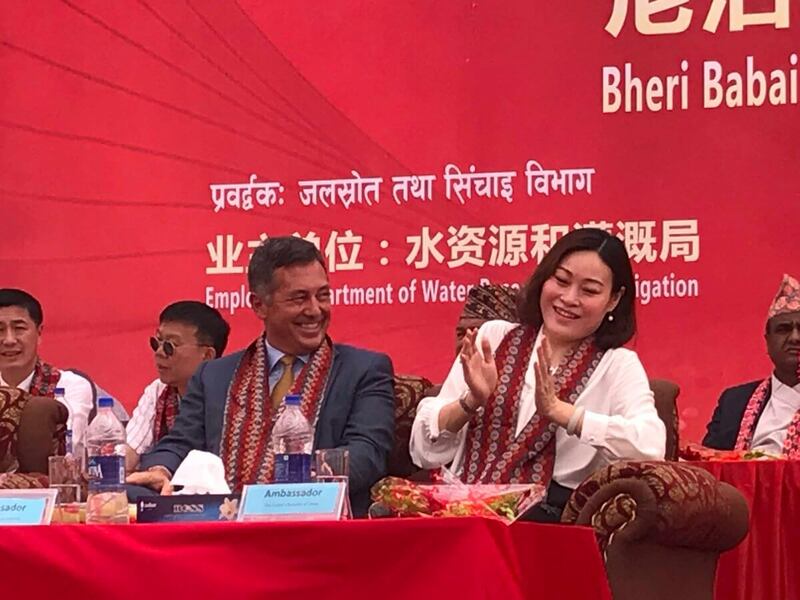 US Ambassador Randy Berry and Chinese Ambassador Yu Hong during the Bheri-Babai Multipurpose Diversion project breakthrough ceremony in Surkhet on Tuesday. 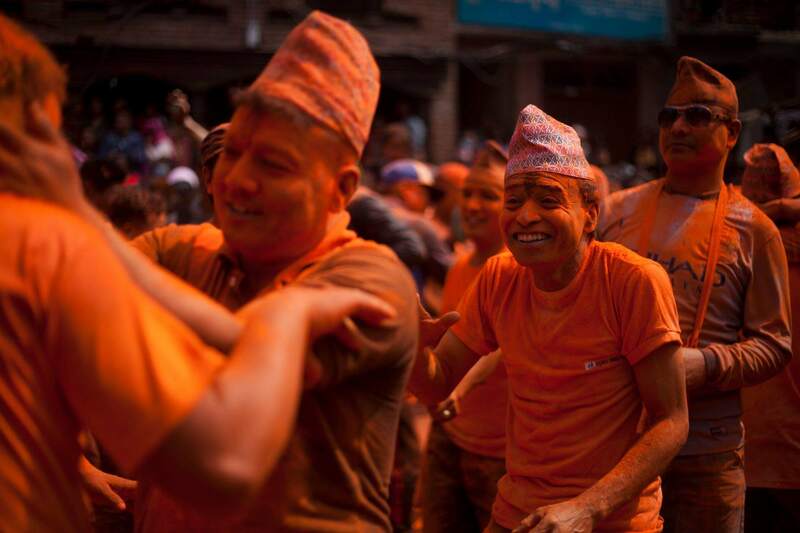 Devotees play with vermilion powder to celebrate Sindoor Jatra at Thimi on Monday. 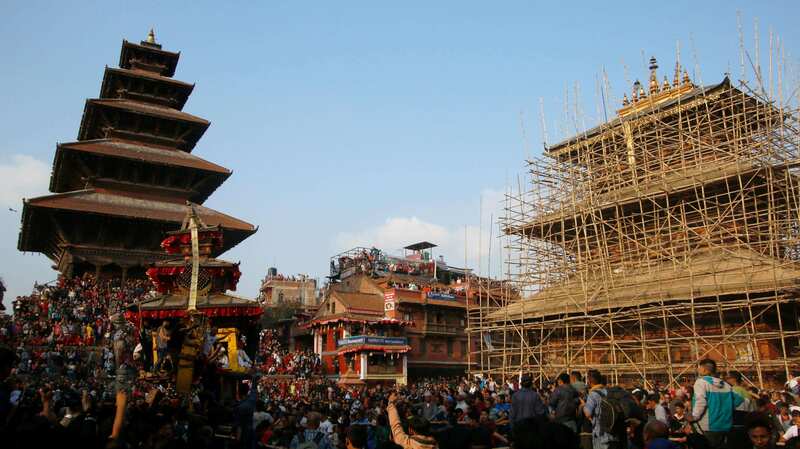 The festival is celebrated to mark the Nepali New Year and the beginning of the spring season. 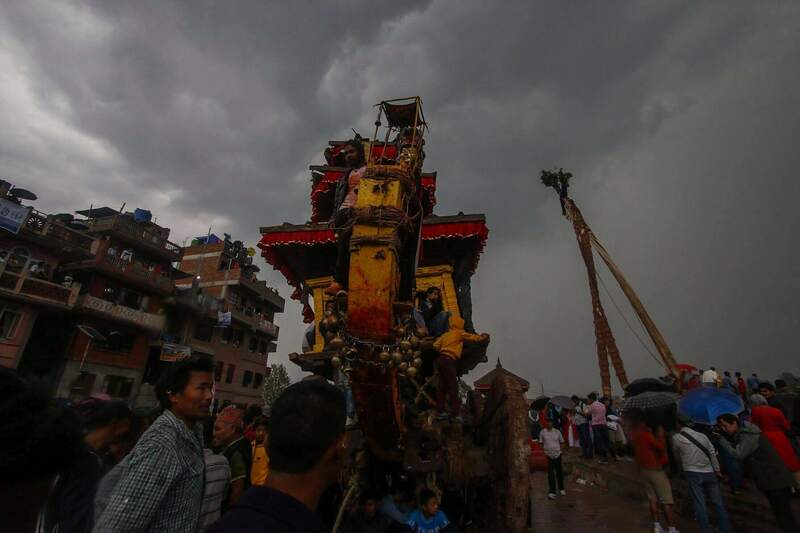 People of Bhaktapur celebrate the 5th day of Bika Jatra in Bhaktapur, despite rain. The yoshin dyo or pole that was erected on the previous day is pulled down on the day of the New Year, whereas the chariot of Bhairab is taken back to Gahiti. 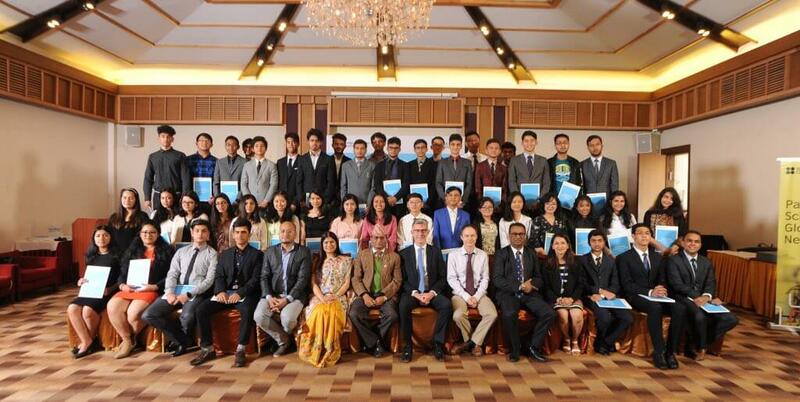 British Ambassador Richard Morris takes a group photo with the students who received Cambridge Outstanding Learners Award at Hotel Himalaya in Kathmandu on Friday. 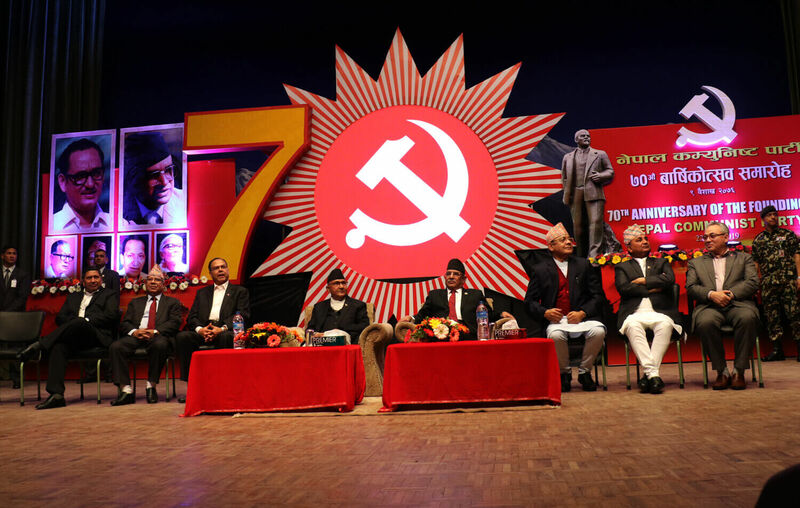 Students were awarded for scoring highest marks in Nepal, with three receiving highest marks in the world. 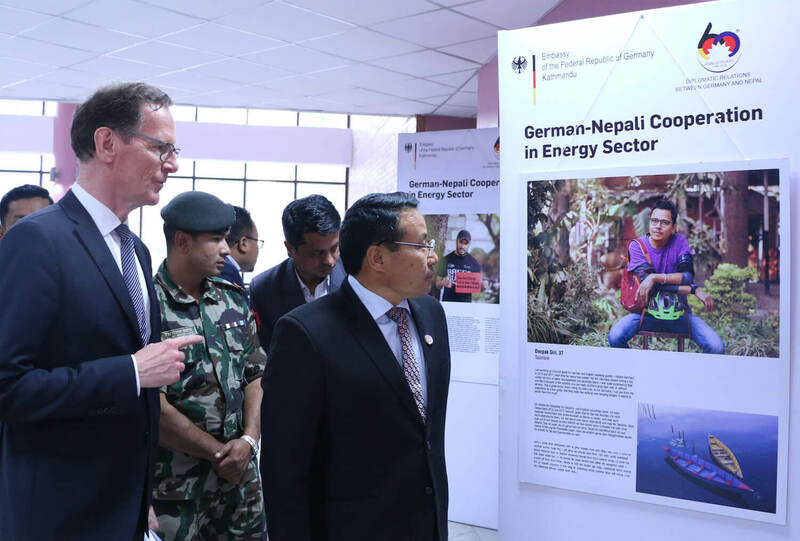 Water Resource Minister Barshaman Pun and German Ambassador Roland Schaefer inaugurating an exhibition on German energy system in Kathmandu on Friday in the Pulchok Campus. Tug of war between eastern and western side of people in Bhaktapur during the first day of Biska Jatra. It is nine day long festival celebrated with great pleasure and joy. 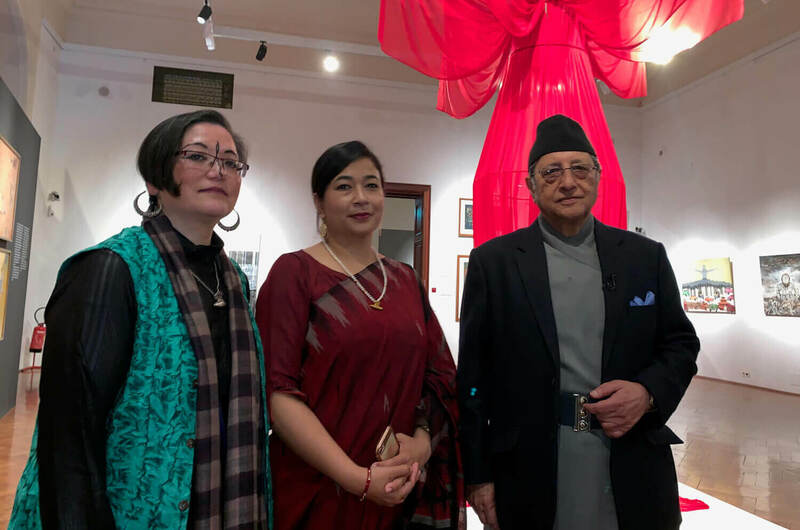 Artist Ashmina Ranjit, curator Swosti Rajbhandari Kayastha and Nepal Art Council’s Sagar Rana at the launch of the 6 month exhibition of contemporary Nepali art at the Welt Muzeum in Vienna Wednesday. 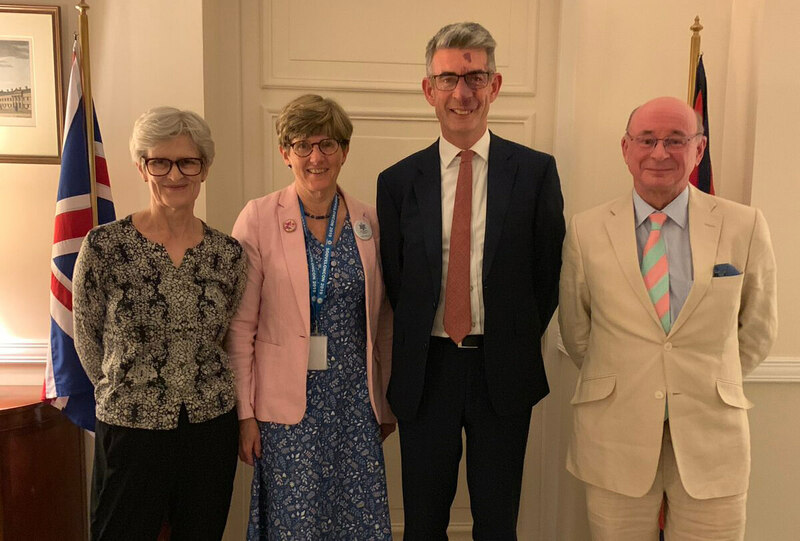 President of the Dowling Club Julia Schofield (second from left) and Professor Chris Bunker (far right) meet with British Ambassador to Nepal Richard Morris in Kathmandu on Tuesday. 80 distinguished UK dermatologists are visiting Nepal to share their experiences with Nepali counterparts at a specialist medical conference. 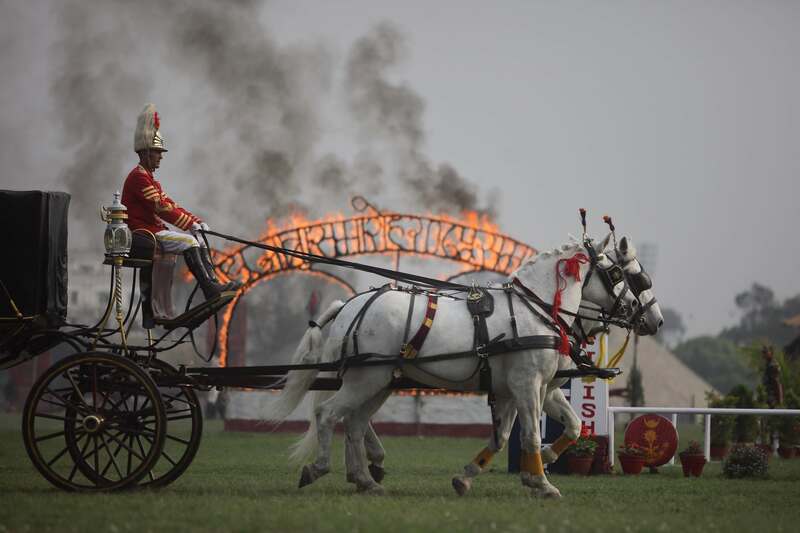 A Nepal Army official performs an equine stunt during the annual celebration of Ghode Jatra in Tundikhel on Friday. 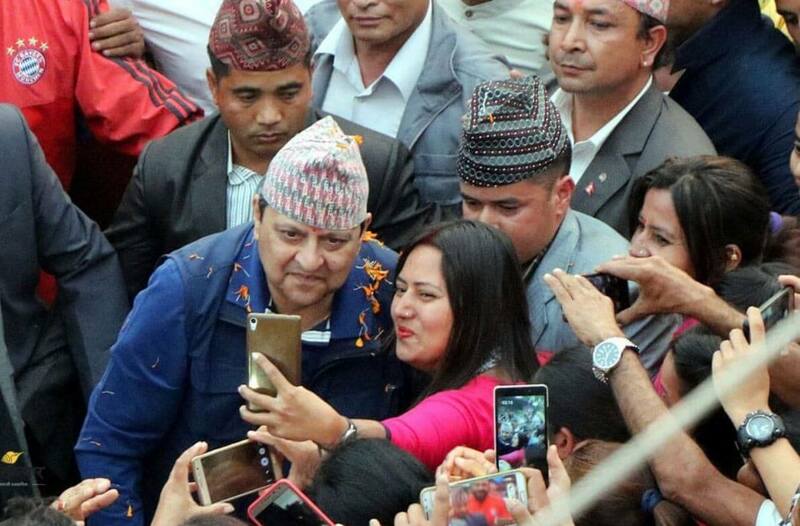 Former king Gyanendra Shah poses for a selfie with a supporter during a tour in Panchthar in eastern Nepal. Canadian Ambassador to Nepal Nadir Patel with Nepal's Minister of Foreign Affairs Pradeep Gyawali in Kathmandu on Thursday. 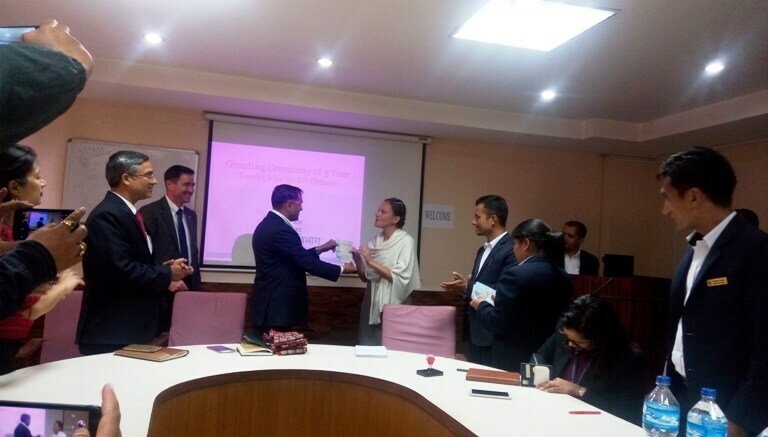 Director at the Department of Immigration Ishwor Raj Paudel hands over first five-year, multiple-entry tourist visas to three American citizens in Kathmandu on Monday. 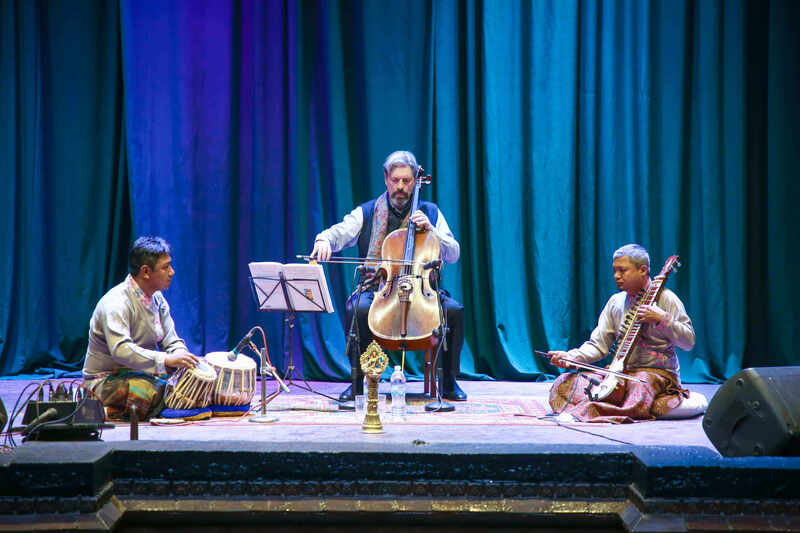 With this establishes visa reciprocity with the United States that has been issuing five-year visas to Nepali travellers. The site of storm as seen from prime minister KP Oli's inspection helicopter on Monday afternoon. 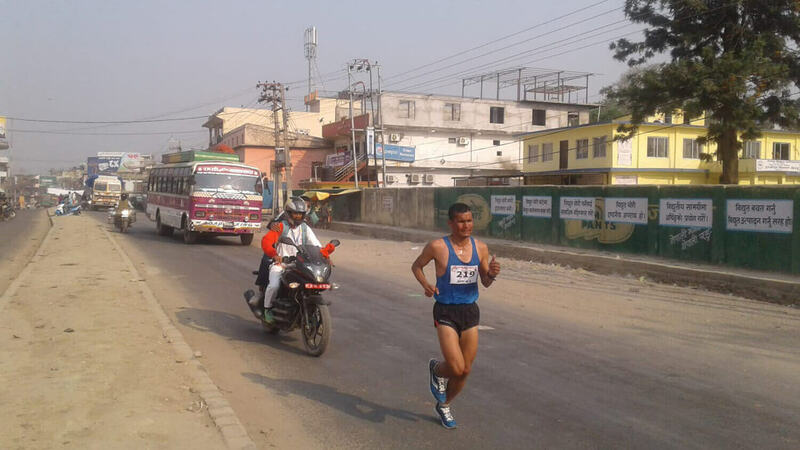 At least 27 people were killed due to the massive storm in Bara and Parsa districts in southern Nepal on Sunday evening. 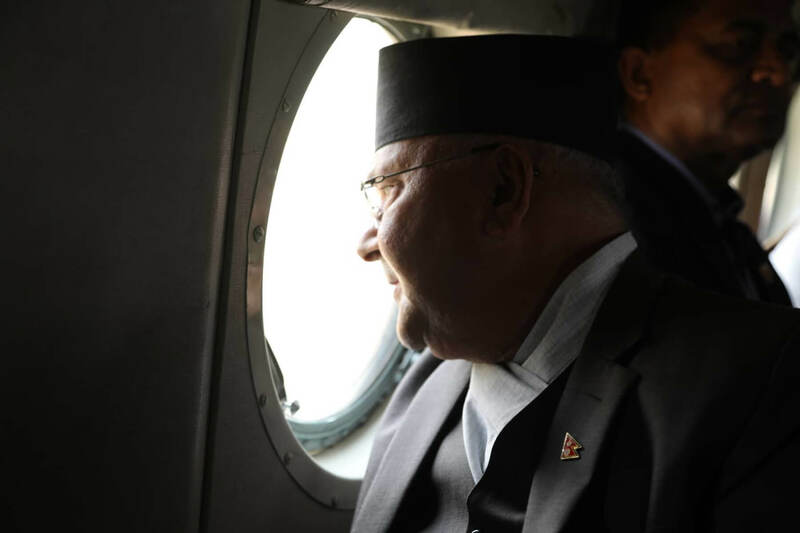 Prime Minister KP Oli inspects the site of storm on Monday afternoon. 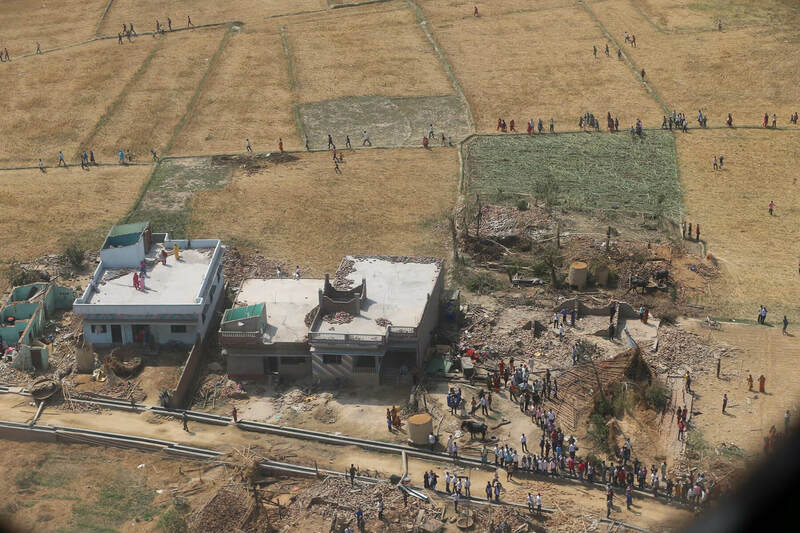 The deadly storm that ravaged Bara and Parsa districts in southern Nepal has killed 27 people and injured more than 700 so far. 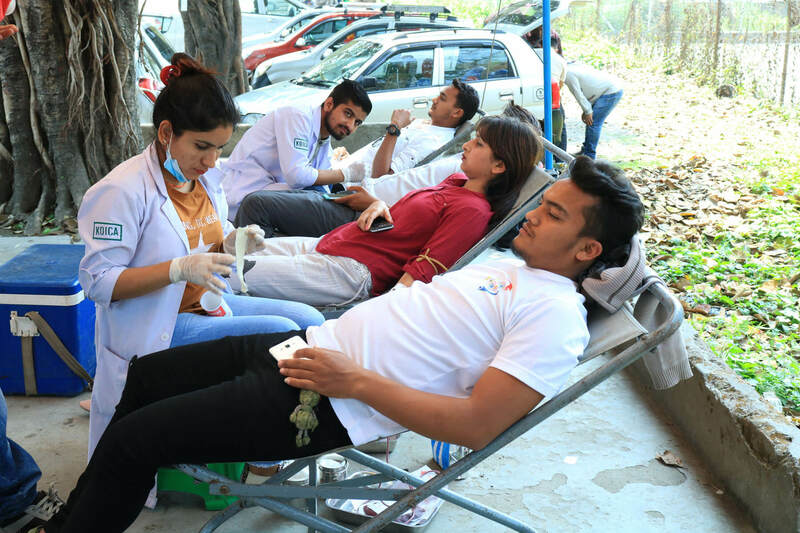 Youth in Bharatpur, Chitwan donate blood as the storm-hit districts Bara and Parsa face scarcity of blood for the treatment of those injured in the disaster. 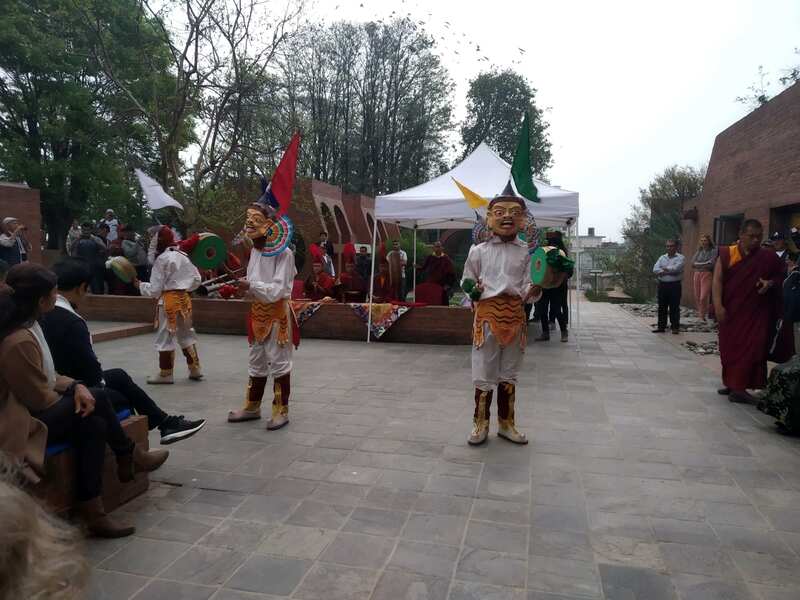 Artists perform the chham dance at the inauguration of a painting exhibition by Tsering Phonjo Gurung at Taragaon museum, Bouddha on Sunday. The dance is traditionally performed by lamas at the Tiji festival. 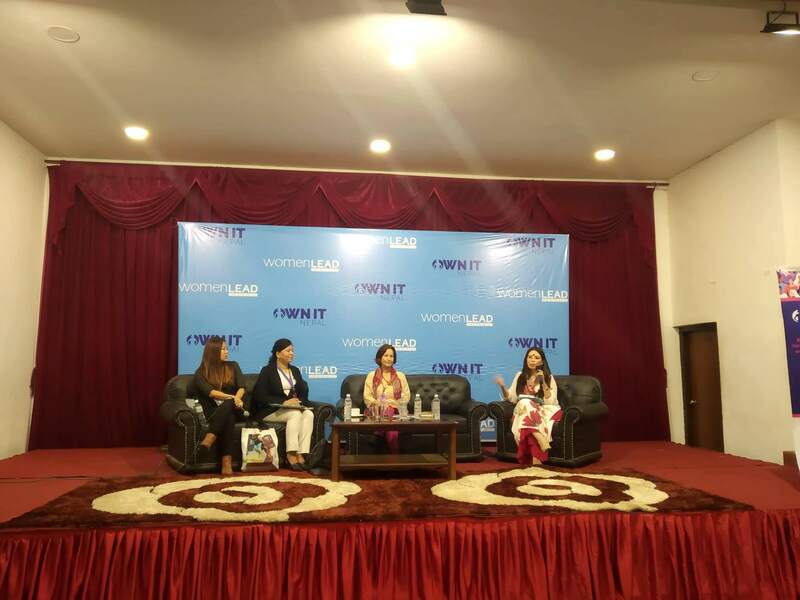 Journalist Bhrikuti Rai, advocate Indu Tuladhar, public health expert Aruna Uprety, and Women Lead founder Hima Bista discuss various aspects of feminist activism in Nepal, at an event in Kathmandu on Saturday. 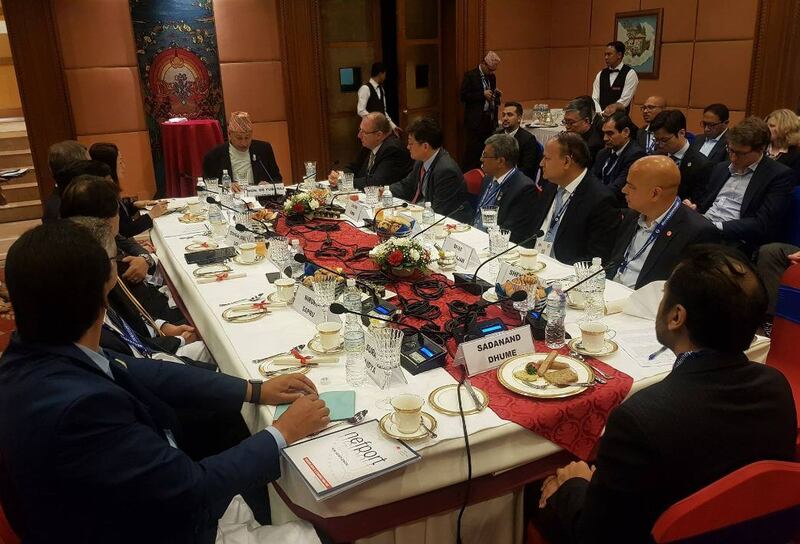 Finance Minister Yuba Raj Khatiwada with members of the business community as well as international participant at the Investment Summit on Saturday in kathmandu.